☞ BUT WHAT HAPPENED IN BETWEEN? In the past beer was just something he drank to get drunk when partying with his friends – the cheaper the better. Studying to become a teacher Mikkel got a job at a local café and here he was introduced to foreign beers like Chimay and Hoegarden. He quickly developed a taste for the foreign drops and founded a beer club with some friends where they tasted and rated different kinds of beers. Later on, when working as a physics and math teacher, he would sometimes stop by for at beer at a pub on his way home from work. There he tasted an india pale ale from the Danish brewery Brøckhouse and got the idea that he could save a lot of money, if he could brew a beer like that himself – and maybe even win a blind test competition at the beer club. Soon hereafter Mikkel and his childhood friend Kristian Keller started a row of ‘physics experiments’ with malt, hops and yeast back home in their kitchens in Copenhagen. Inspired by the extreme hoppyness of micro brewed, stateside beer, they bought a few American books about brewing and started grinding malt in the basement of their apartment complex. Their first experiment was a clone of the Brøckhouse IPA , which they served at their beer club gatherings. Eventually the clone won a blind test in one of their tastings, and the success got the two friends hooked on the idea that others might enjoy the taste of their beer as well. Therefore they started making their own recipes and joined home brewing contests at the national Danish beer festival and took home several medals. The kitchen experiments lasted for two and a half year and simultaneously Mikkel and Keller started brewing beer at a larger scale at the Danish microbrewery Ørbæk. When another member of the beer club, Mikkel’s twin brother Jeppe, opened a beer shop in Copenhagen in the beginning of 2005, he started distributing Mikkeller’s beer to beer geeks and lovers around the world, and the rumours of Mikkeller’s kitchen experiments spread. The big breakthrough in the international beer world arose with the clean and simple idea of adding french press coffee to an oatmeal stout. The result ‘Beer Geek Breakfast’ was voted number one stout on the international beer forum Ratebeer.com and kick-started Mikkeller’s international success. At the Danish Beer Festival 2006 Mikkel and Keller had their first official stand with eight different beers to offer. That same year two American distributers travelled all the way to Denmark to court the small brewery, which resulted in Mikkeller signing a distribution deal with the American beer distributor, Shelton Brothers. To cope with the demand, the two brewers started brewing Beer Geek Breakfast at the Danish microbrewery Gourmet Bryggeriet. 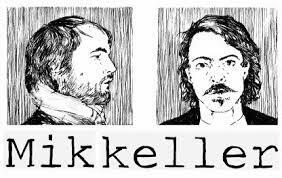 In the beginning of 2007 Keller left Mikkeller to pursue a career as an editor of the Danish music magazine Soundvenue, and Mikkel continued on his own with the ambition of taking Mikkeller to another level. Today Mikkel exports his beer to 40 countries and he has held exclusive beer dinners and beer talks all over the world. He brews most of his infamous drops at de Proef Brouwerij in Belgium, which is owned by the very skilled brewer, Dirk Naudts, and his wife Saskia. He has made collaboration beers with some of the world’s most acknowledged and innovative microbreweries; Three Floyds, Chicago, de Struise, Belgium, Hill Farmstead, Vermount and Anchorage, Alaska. And he makes house beer for some of the best and most prominent gourmet restaurants in Denmark, such as Noma (Michelin), Mielcke & Hurtigkarl and Kiin Kiin (Michelin) Because of Mikkel’s inventive and constant development of Mikkeller he has been called the ‘cult’, ‘rock’n’roll’ and ‘gypsy’-brewer in Danish and international press. Today the autodidact brewer has a team of eight full time employees with whom he shares an office space in Vesterbro, Copenhagen. … brew beer that challenge the concept of good beer and move people. We do this by using the best ingredients and work with the most talented and creative minds around the world. … barrel age quality beers on exclusive wine barrels. For instance the Belgian Ale ‘Mielcke and Hurtigkarl’ brewed for the Danish gourmet restaurant by the same name has had the pleasure of being barrel aged on exclusive Chateau d’Yquem barrels.